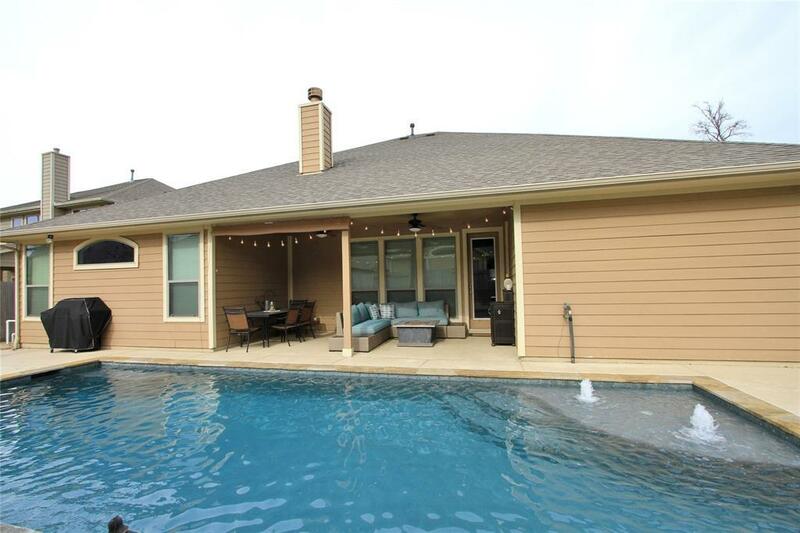 Beautiful ONE STORY home in Stewarts Forest w/heated POOL and patio area! 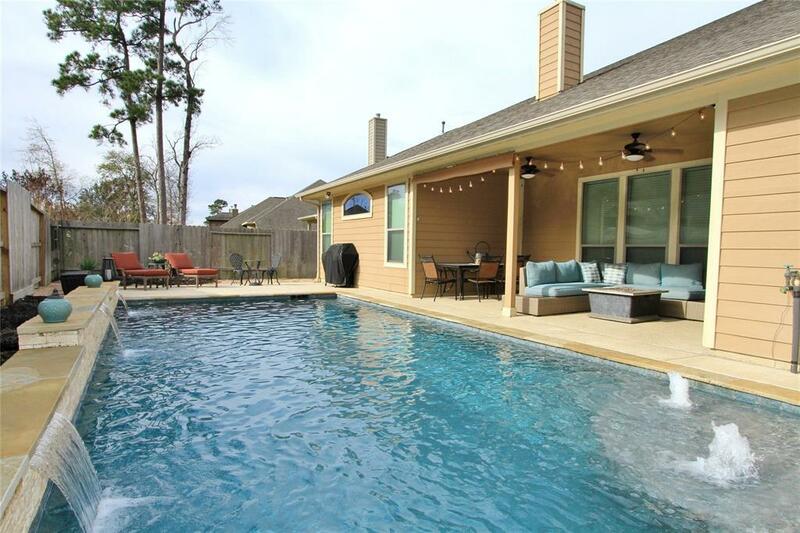 Just 10 miles North of The Woodlands! 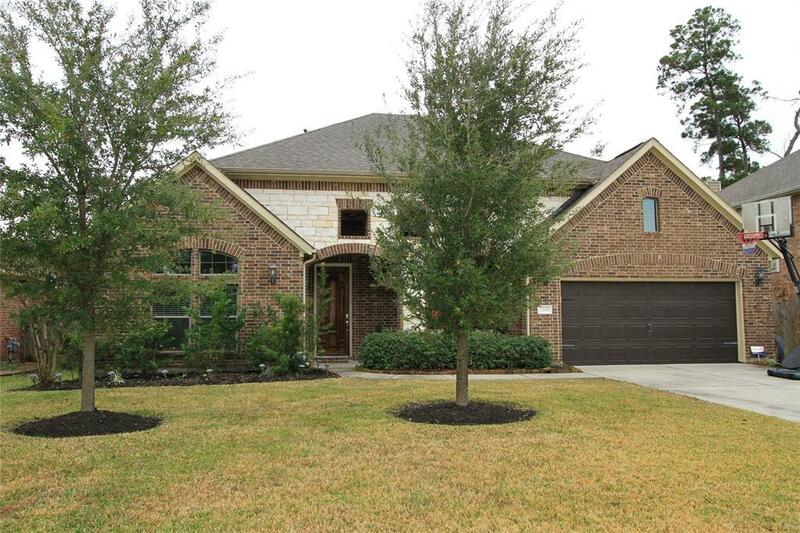 This property boasts a versatile floor plan featuring large open space for entertaining, 4 Bedrooms, 3 full Bathrooms, Study, and Media Room! Large open Kitchen w/elaborate tropical brown granite Island, rich colored Maple Sarsaparilla cabinets, Stainless Appliances, and a conveniently located butlers pantry. The Master bedroom has en-suite bath w/raised dual sinks and tropical brown granite, large walk-in closet and stand-in shower. The front two bedrooms share a "jack and jill" style bathroom. The media room has a convenient wet bar w/a pass through window providing the perfect area to whip up a snack or drink for movie night. Large utility room fits a washer/dryer and space for a small deep freeze. A custom built-in coat rack and additional storage located at the garage. 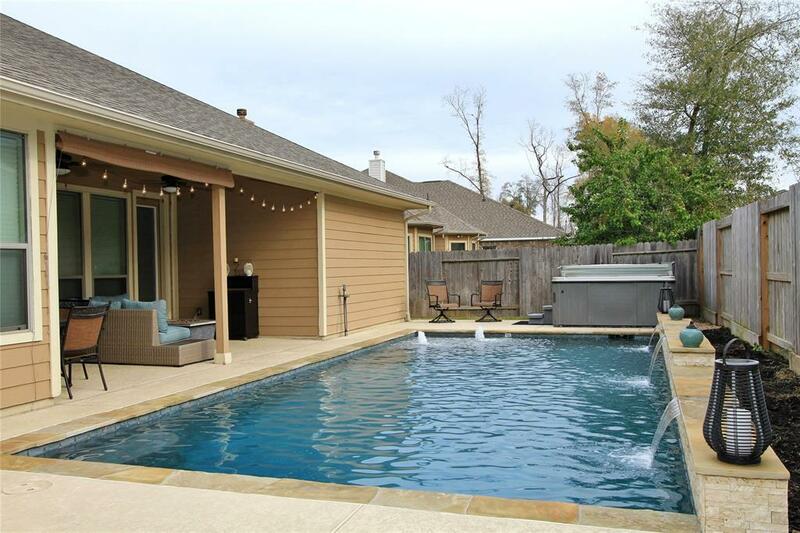 Pool is heated with additional water features and a covered spa.